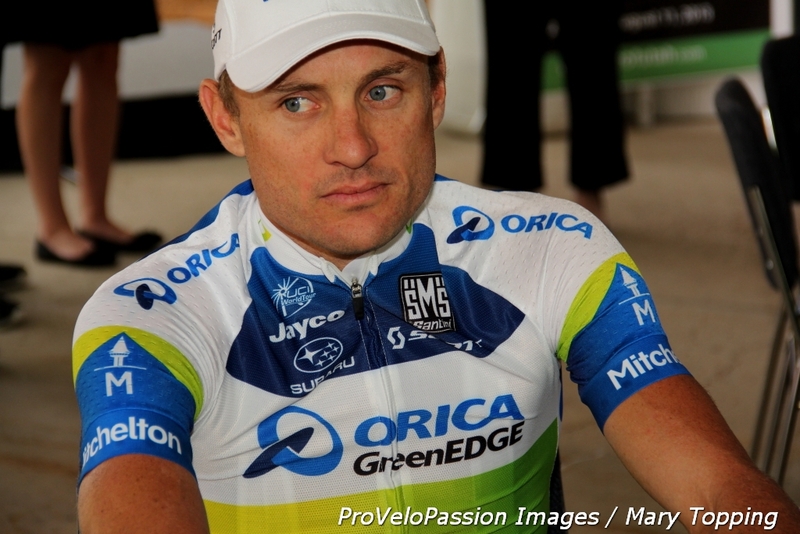 Orica-GreenEDGE hasn’t sent a climbing team to tackle this year’s Larry H. Miller Tour of Utah terrain. But the guys are taking all the talk about 43,000 feet (13,106 metres) of elevation gain in stride and they have arrived prepared to hunt for stage wins. In the weeks leading into the tour’s start on Tuesday, nearly all the guys spent time at high altitude. Michael Matthews raced here last year and won Stage 3 as well as the green jersey. He based himself at the location of the Stage 1 start in Brian Head which sits at nearly 10,000 feet (3,048 metres). Sam Bewley lodged in Park City for three weeks. The final stage begins and finishes in that resort town with an elevation of about 7,000 feet (2,133 metres). One important team member is missing; videographer Dan Jones didn’t make the trip to Utah. Since a race with Orica-GreenEDGE just isn’t the same without a Backstage Pass video, ProVeloPassion filled the void by piecing together the following “unofficial frontstage pass” that captures the team presentation in Cedar City and an interview that followed.